Looking for the right drug or alcohol rehabilitation center can be a troublesome task. 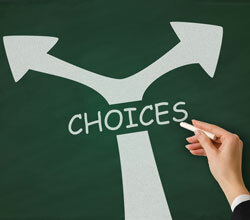 With all the different options and facilities available, it’s sometimes hard to decide which one will actually fit the needs of the addicted individual. New Beginnings knows about the different rehabilitation facilities all over the country. Our professional counselors are on stand-by to assist any addicted person, or addicted loved one, on their search for a recovery program tailored to their specific needs. The dependency on illicit substances and/or alcohol comes with its own unique series of challenges. Even though diseases such as cancer and diabetes come with their own challenges as well, many of those do not include having to wade through countless services to find the one that fits your needs. Looking for a rehab treatment that does not simply tell you something that you ‘want to hear’, can be difficult. With traditional illnesses, one specific program can provide factual, medical evidence to suggest that it works. Moreover, when someone struggles with drug or alcohol dependence, the person carries a social stigma that blames the patient for the problems they will need to go through. Few cancer patients have to deal with the notion that they are somehow ‘responsible’ for their own disease. Because there is no overarching, encompassing entity that provides regulation for behavioral treatment, many of the different recovery programs found throughout the nation make claims that have no scientific basis. In many cases the effectiveness, possibly even the safety, of these programs cannot be guaranteed. This makes it far too easy for a patient to make a ‘poor’ decision and decide upon a recovery center that does not provide them with the results they were looking for. Unfortunately, there are a number of programs available that are more concerned with moving a patient through the door as quickly as they can in order to free up that space for another patient seeking help. 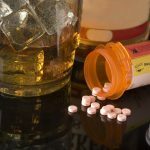 Considering the number of Americans admitting to the use of illicit substances over the last 30 days has steadily increased in every study and that the number of emergency room visits because of drug abuse keeps rising, it is a clear indicator that the right type of treatment is more important than ever before. That is exactly what we try to offer, a place where you can gather information without bias, without the notion that you have to be ‘sold’ on anything. When it comes to recovery, the first thing that you have to recognize is that there is no such thing as ‘good enough’. The reason that we have so many different options available to treat dependence is because there is no one-size-fits-all approach. A program may not just be a bad fit for someone; they may actually damage their recovery odds. Some recovery centers paint addiction with a rather broad brush, meaning that sometimes patients are considered ‘dependent’ even though they may be struggling with other problems instead. Other programs treat people struggling with addiction as though they should be penalized. That shaming them would somehow make them realize that they need to turn their life around. Instead of reaching a shaming epiphany and wanting to seek help, it may only make someone feel worse and push them further into the arms of addiction. The assessment of dependence is not as simple as diagnosing other medical problems. For example, a patient has a broken finger or they do not have a broken finger. Sometimes the lines between substance abuse and addiction and normal and unhealthy behavior are thinly veiled. That is another reason that you need a professional opinion of a counselor that will give you all the options available – not just the ones that may end up making them some money. Because of the social stigma that addiction carries with it, few people are comfortable sharing their problems with others. 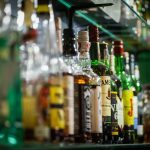 Whereas people may confide in others if they suffer from other issues, the dependence on illicit substances or alcohol is not something that most people feel comfortable talking about. This is important to take into consideration, the realization that we are dealing with an issue that is private and shameful to most people. We offer a service where you can call and ask the questions that you may not want to ask your friends and may not want to ask the personal physician that you have even known for years. This is the important question that comes up when people realize how many different recovery centers are available. An inpatient facility is going to be quite different from an outpatient facility, the costs involved and intensity of the treatment, the overall recovery process and the overall environment of the program, all of which are going to be radically different. Those seeking additional individual therapy and complementary therapies often go with the inpatient option. Because it allows the patient to focus on recovery exclusively, it is often heralded as the most comprehensive form of treatment. Once a patient enrolls in an inpatient option, the stress of their daily routine is no longer a factor. However, the flip side is that these are often more expensive, because it includes therapy, meals, activities and housing. Meanwhile, outpatient treatment is a bit cheaper and allows the patient to head home after his or her attended treatment sessions. This means the patient who enrolls is able to continue their normal work, schoolwork, or tend to their home life. However, here the same saying goes as well, not all programs offer the same quality. Some outpatient centers will only treat the patient for a few hours every day while the others include intense all-day sessions. Because they offer fewer amenities and require fewer staff hours because of less direct care, they are often cheaper. The truth is that addiction science has provided increasing neurobiological evidence and psychological evidence that a reward-based incentive system works far better for people than the actual threat of punishment. Many have experienced dramatic life-changing results when paired up with the right treatment program. Whether you need cognitive-behavioral therapy, motivational enhancement therapy, or anything else that you would like to discuss, New Beginnings knows how to help you get the help that is right for you. The end of the line is NOT addiction or substance abuse. There is still hope left for your or an addicted loved one. New Beginnings is more than happy to take your call to provide you with any answers to the questions you may have about addiction, addiction treatment, and substance abuse rehabilitation. Do not delay another minute. Pick up the phone and get the answers you need by calling New Beginnings toll-free today.